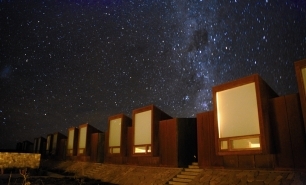 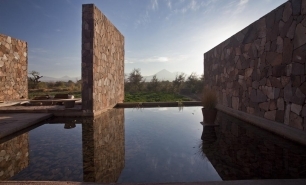 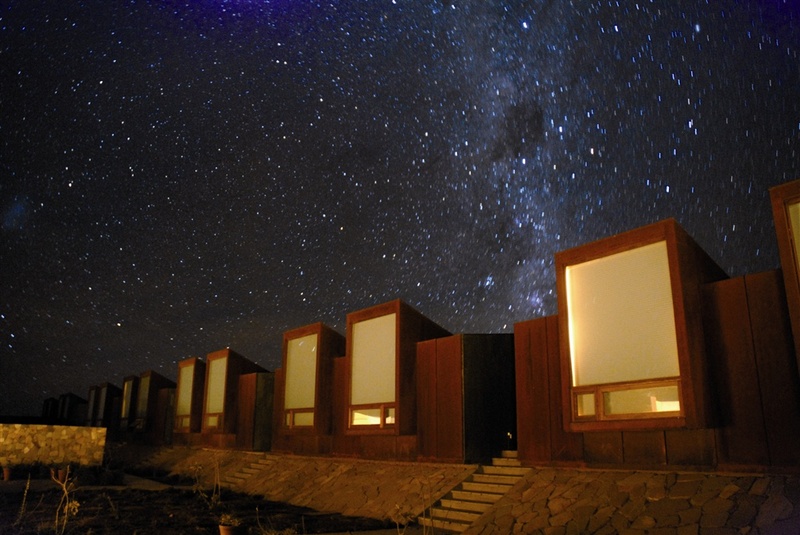 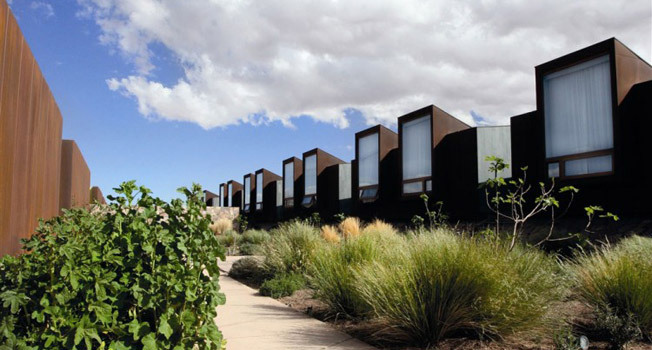 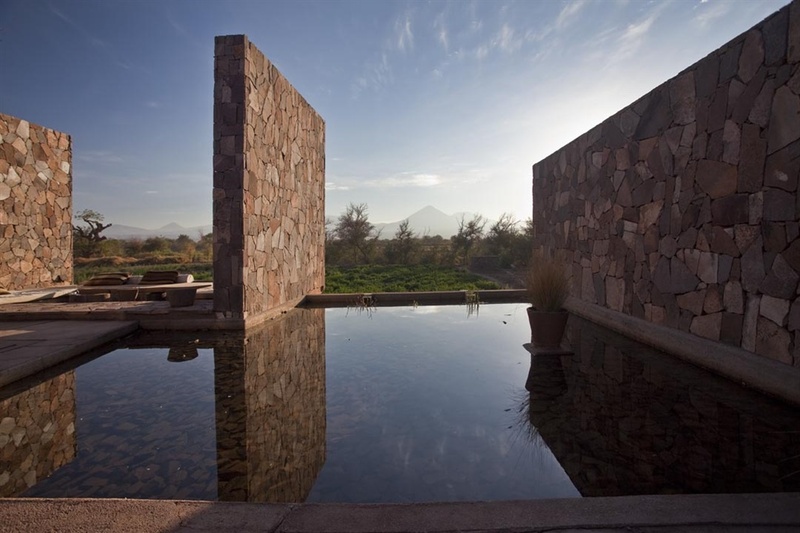 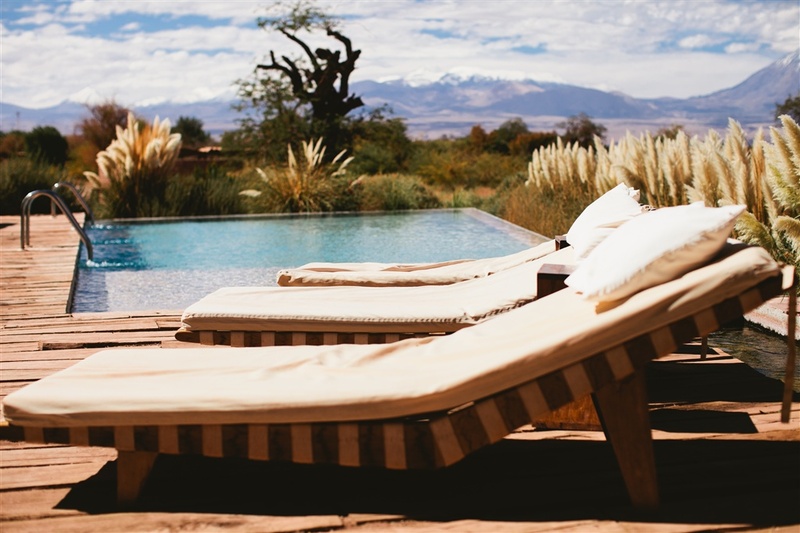 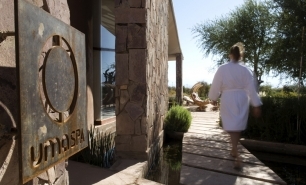 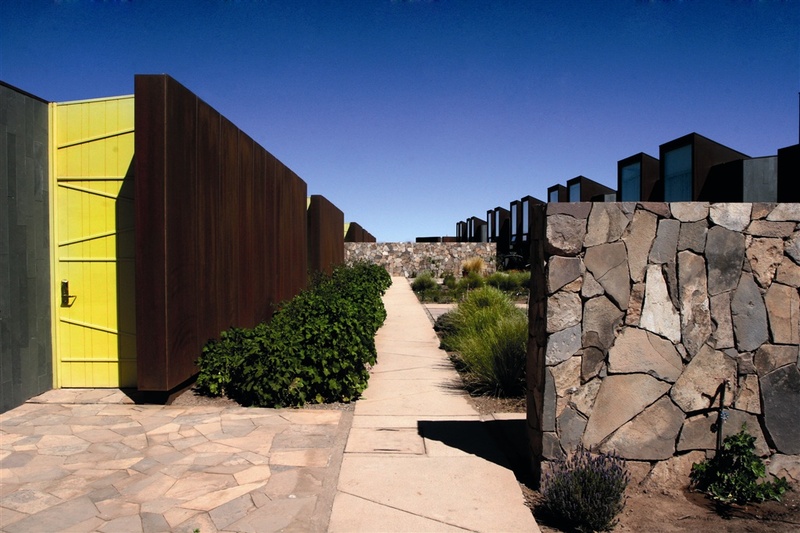 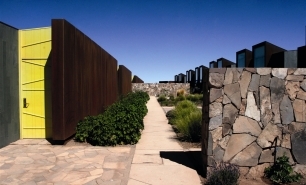 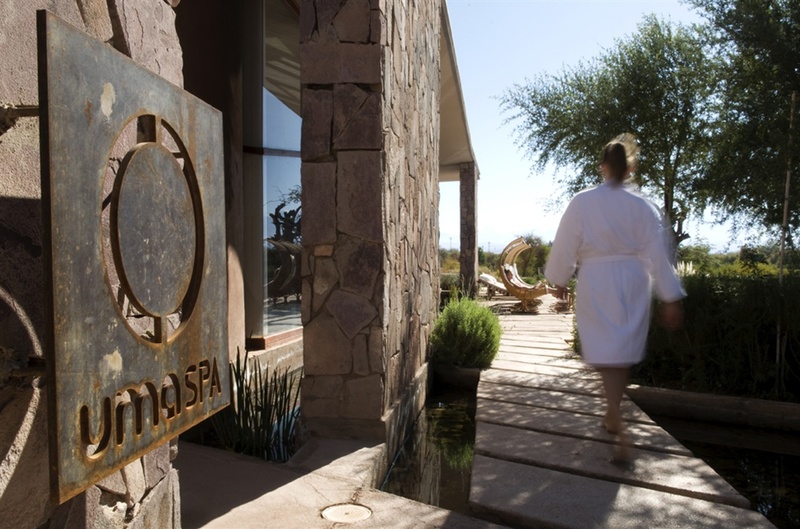 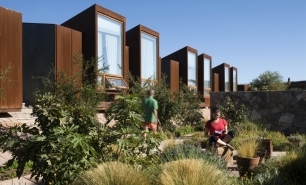 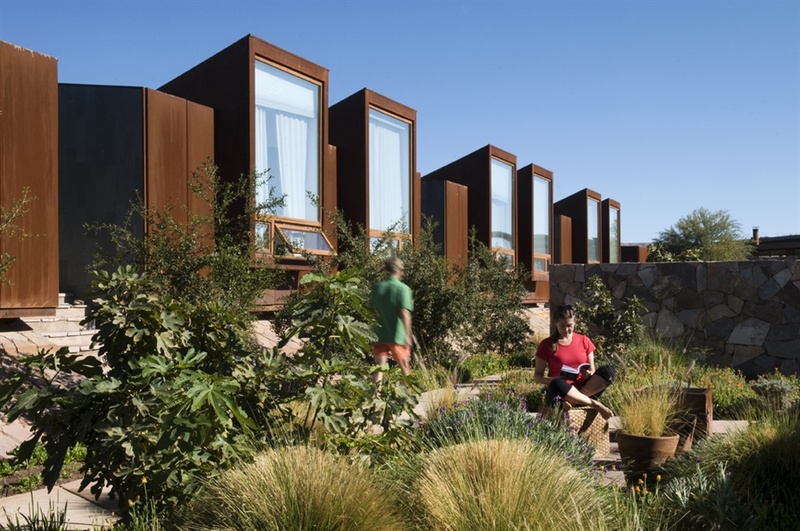 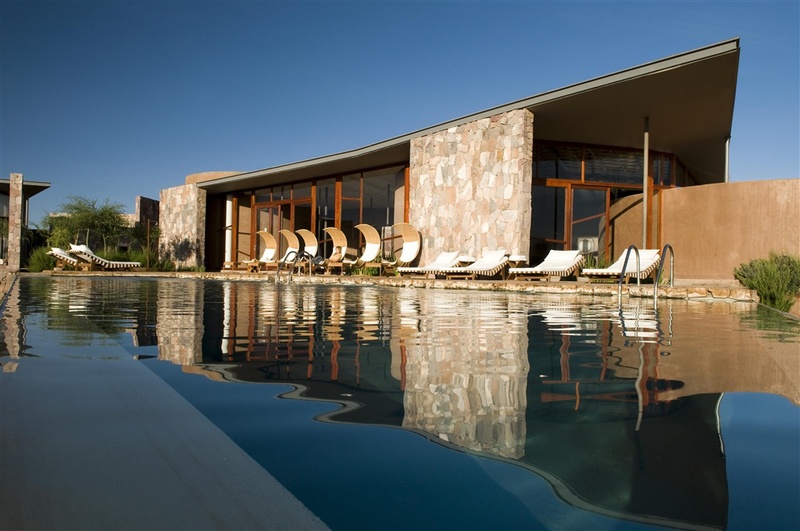 Tierra Atacama Hotel & Spa is in tiny San Pedro de Atacama (elevation 2440m / 7,800f), a precordillera oasis village in northern Chile‘s Altiplano region close to the borders of Bolivia and Argentina. 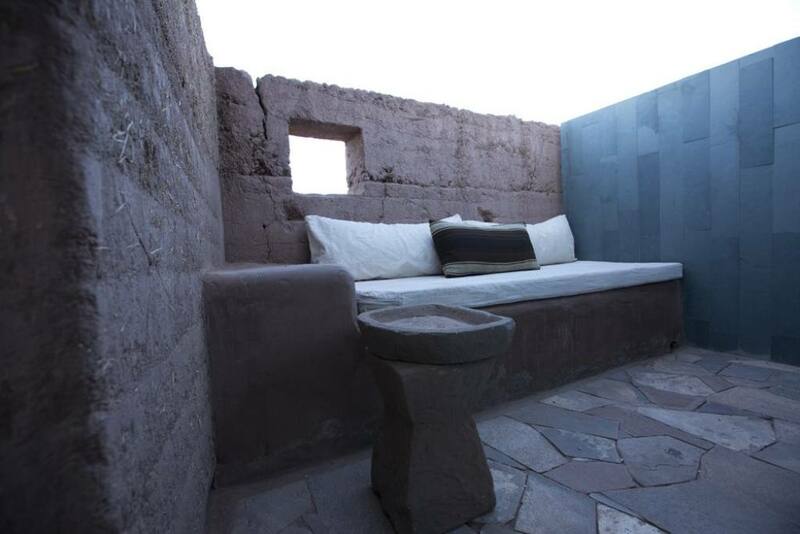 The closest airport is in Calama some 100km to the east. 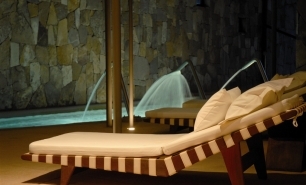 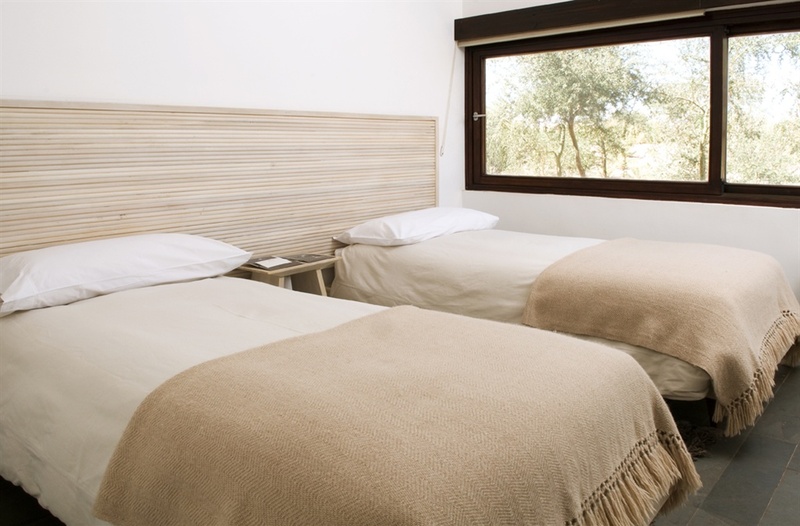 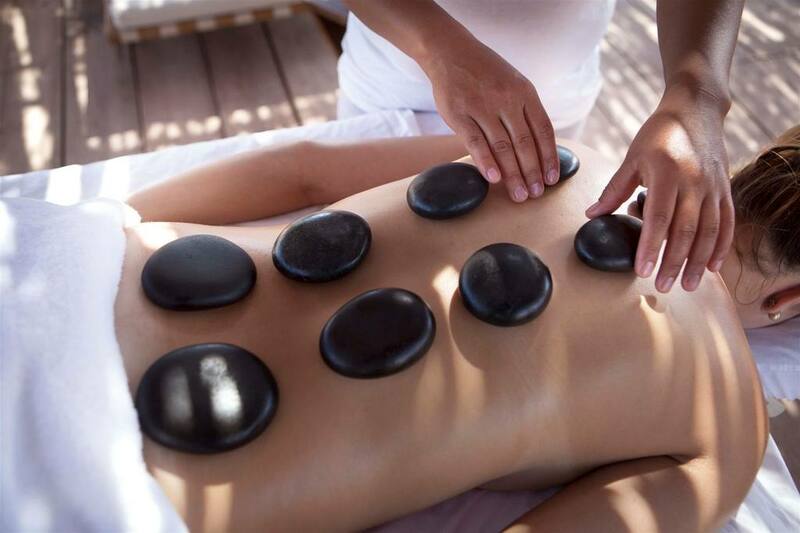 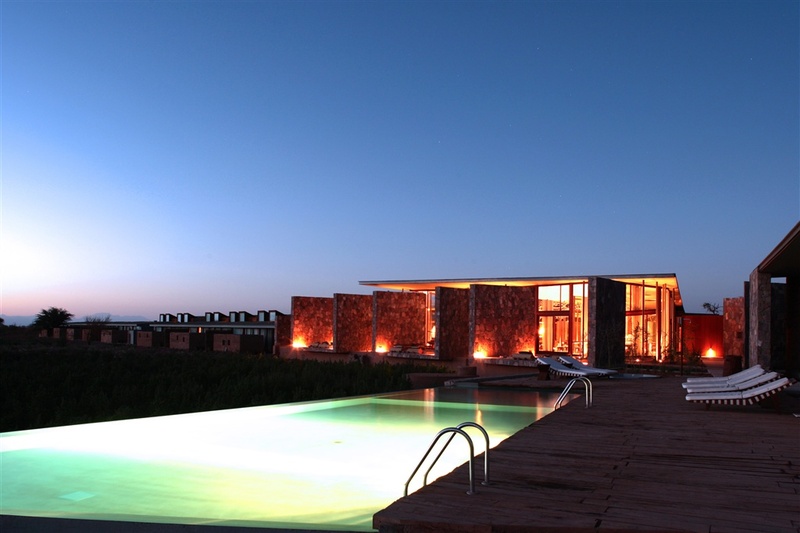 The popularity of the oasis is due to its position at the heart of some of northern Chile's most spectacular scenery. 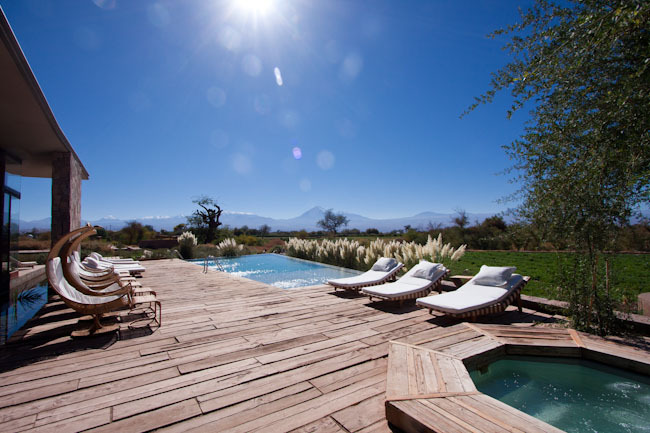 A short drive away is Chile’s largest and magnificently picturesque salt flat surrounded by volcanoes (Licancábur, at 5916m), large fields of geysers, “Marsian” rock formations, and landscapes. 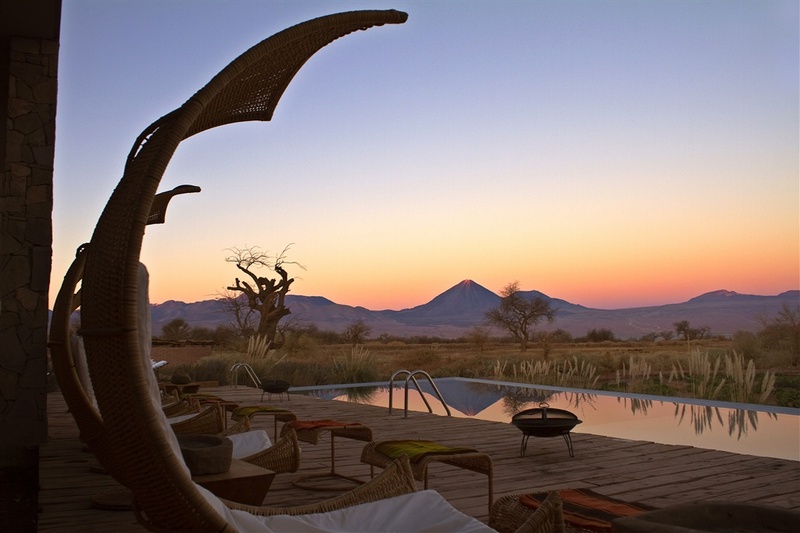 These are some of the most spectacular sceneries in the world, on a par with those in Arizona and the Sahara desert. 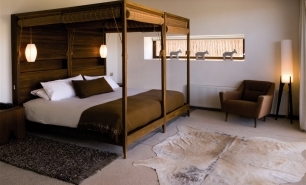 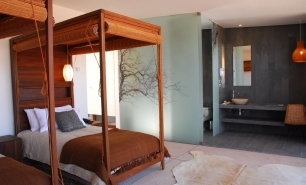 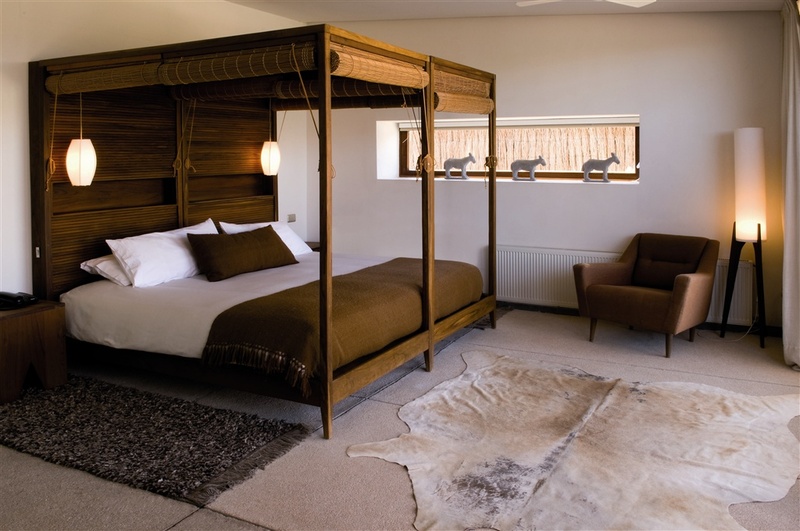 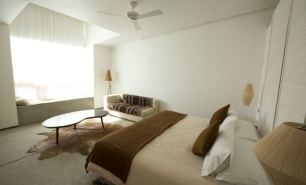 The 32-room boutique hotel was created by the Purcell family-owners and operators of the Portillo Ski Resort and Hotel-famous in Chile for its excellent skiing and accommodation. 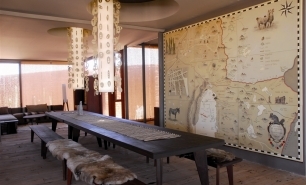 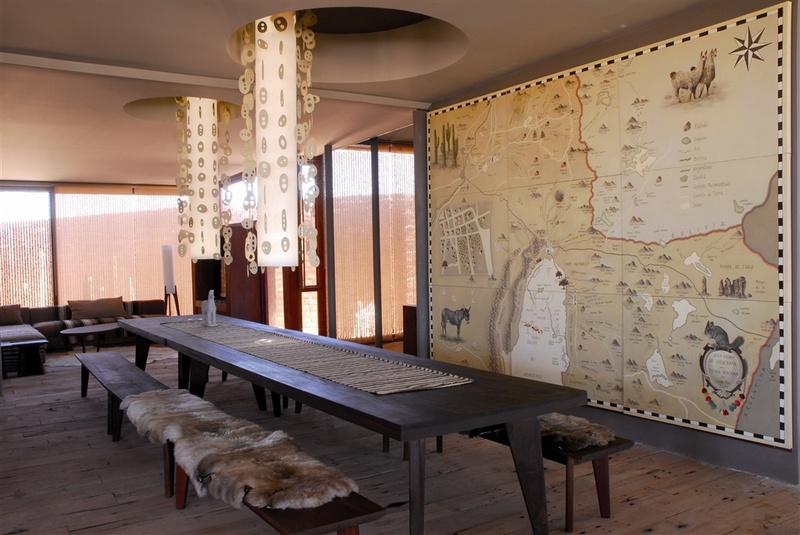 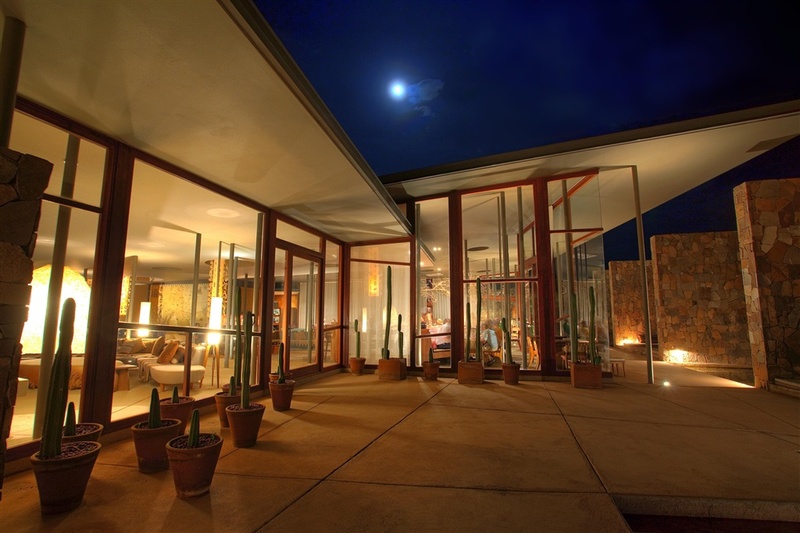 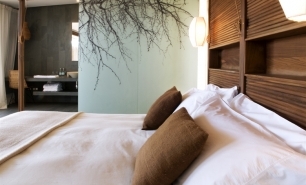 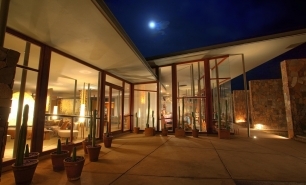 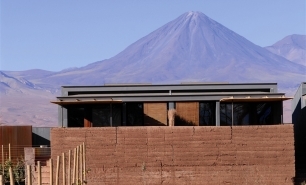 The hotel was built with traditional, local materials to blend into the surrounding moonlike landscapes. 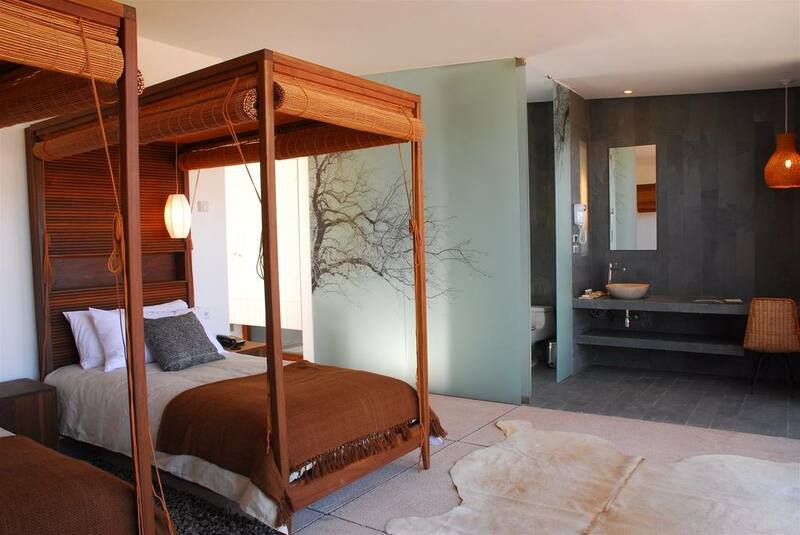 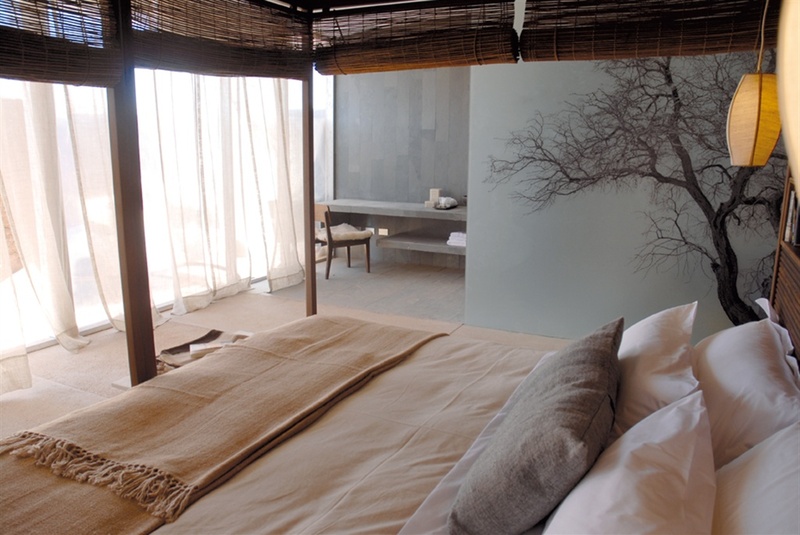 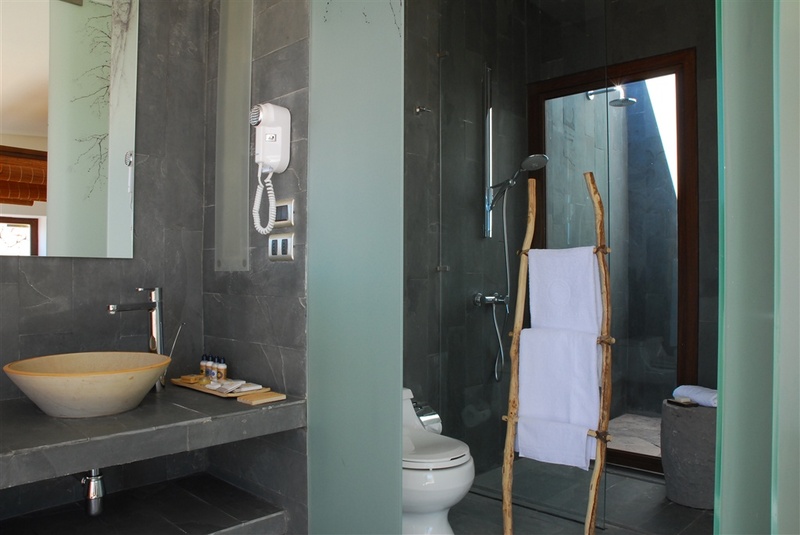 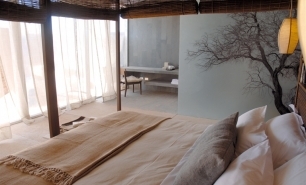 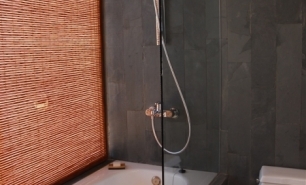 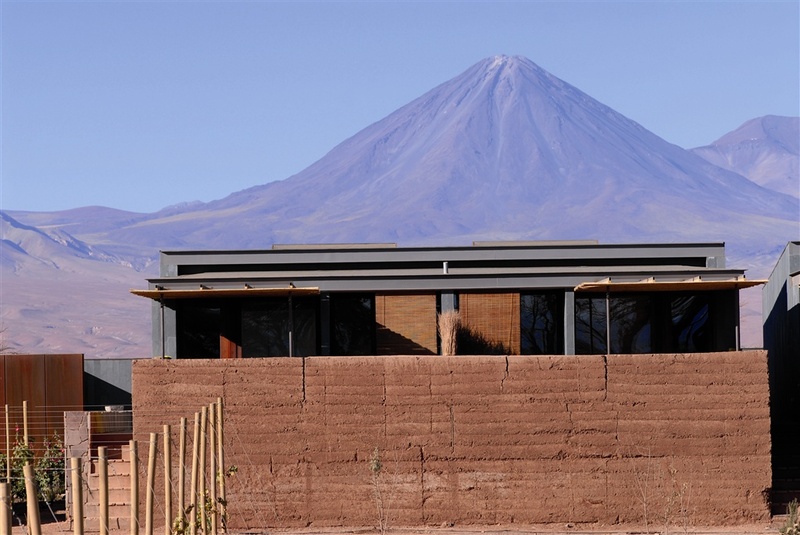 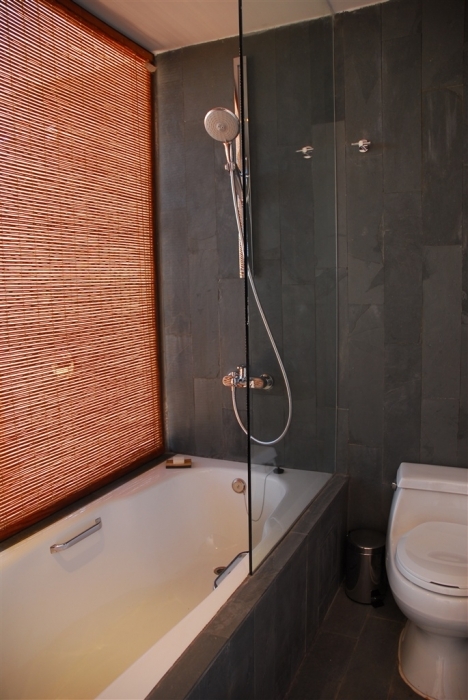 The three types of spacious and luxurious rooms feature outdoor showers, private terraces, and views of either the Licancabur Volcano or the resort’s gardens. 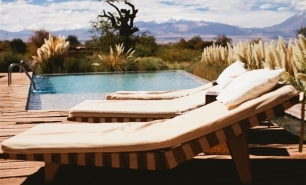 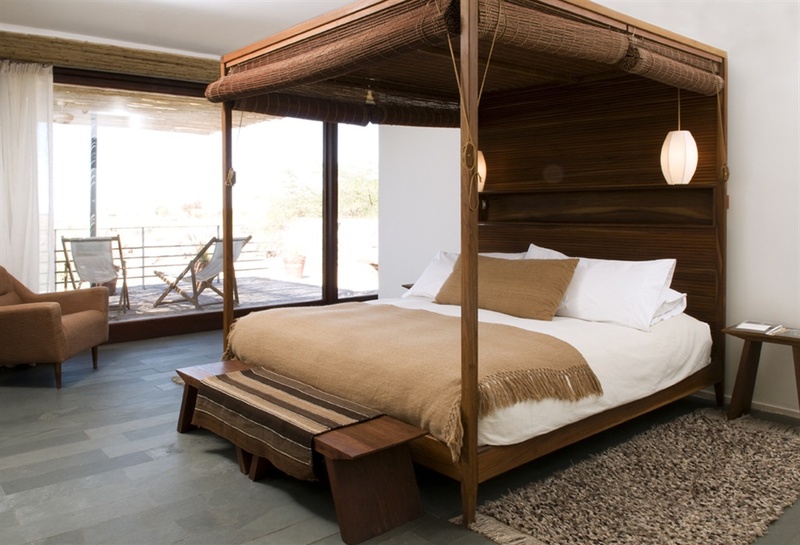 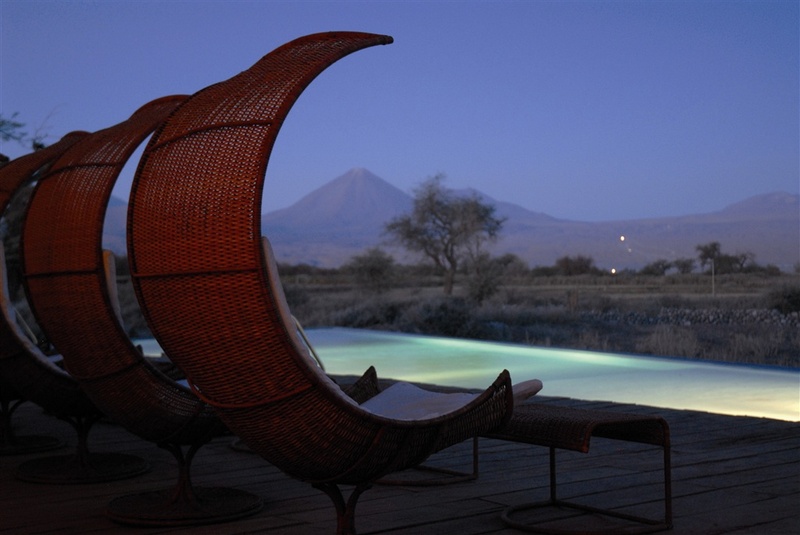 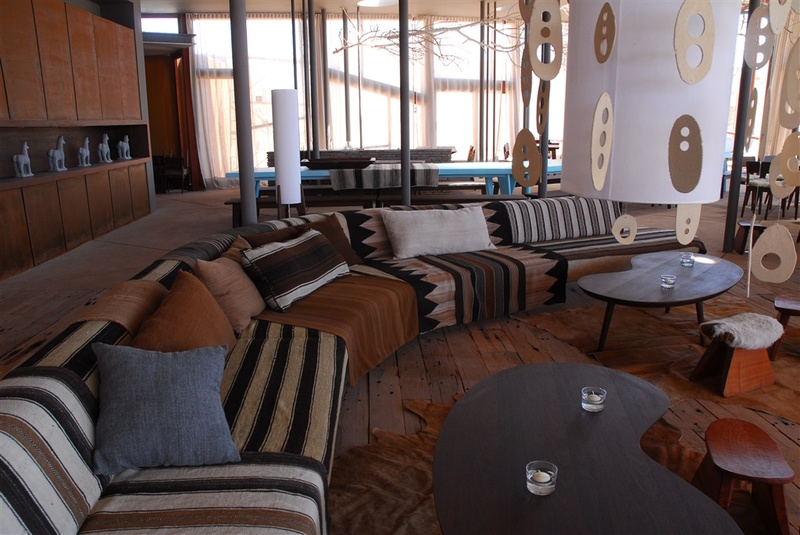 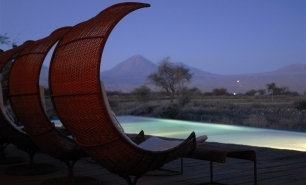 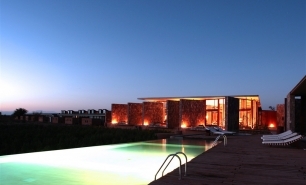 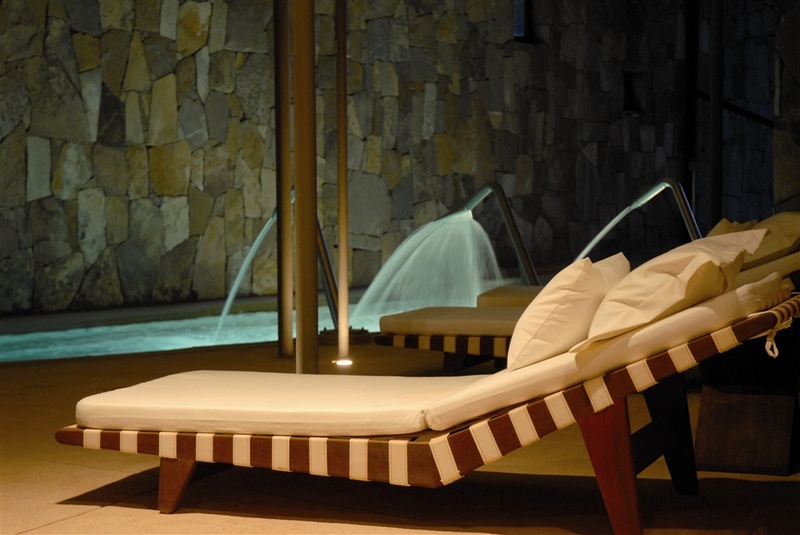 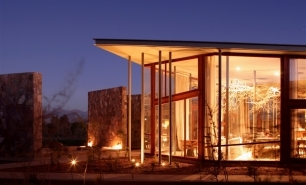 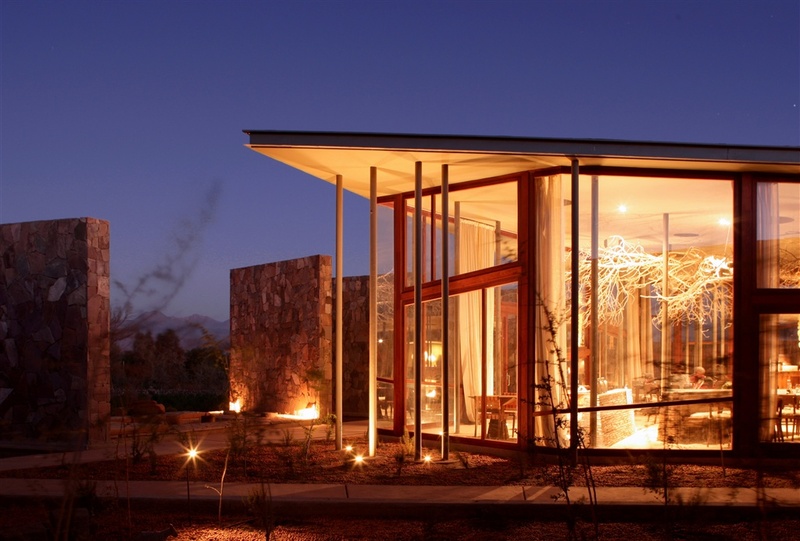 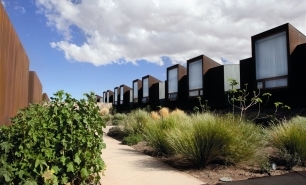 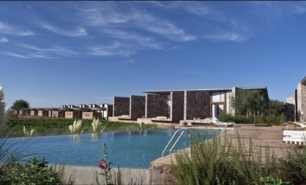 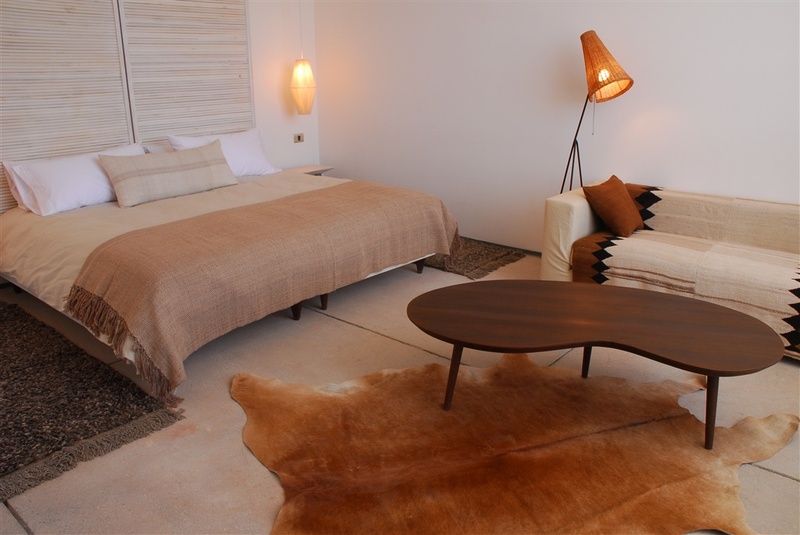 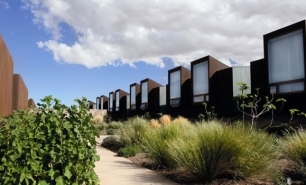 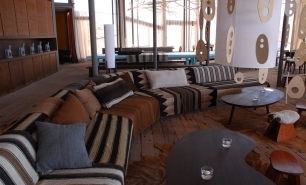 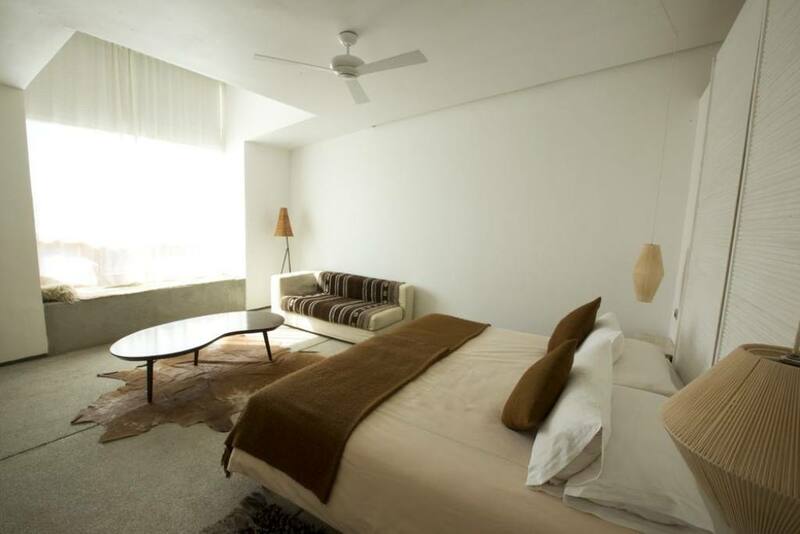 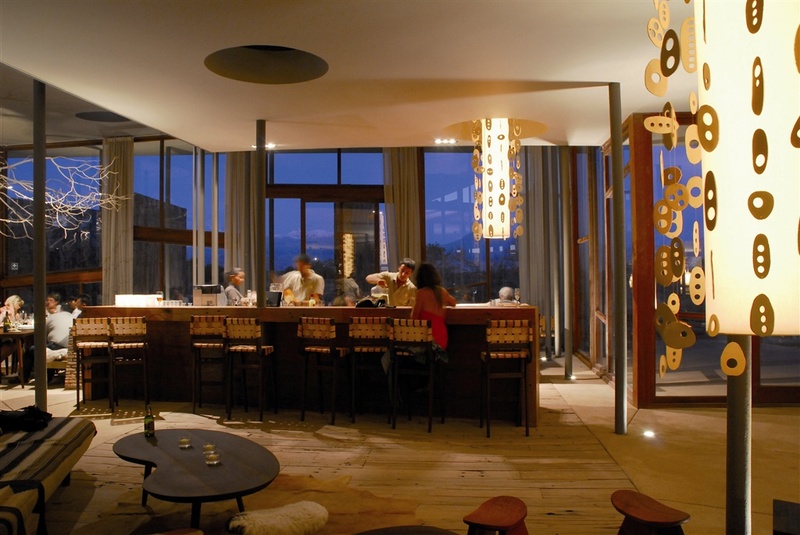 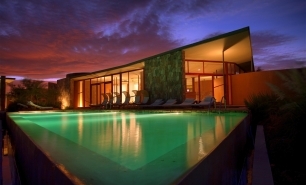 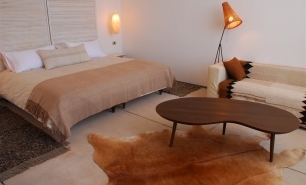 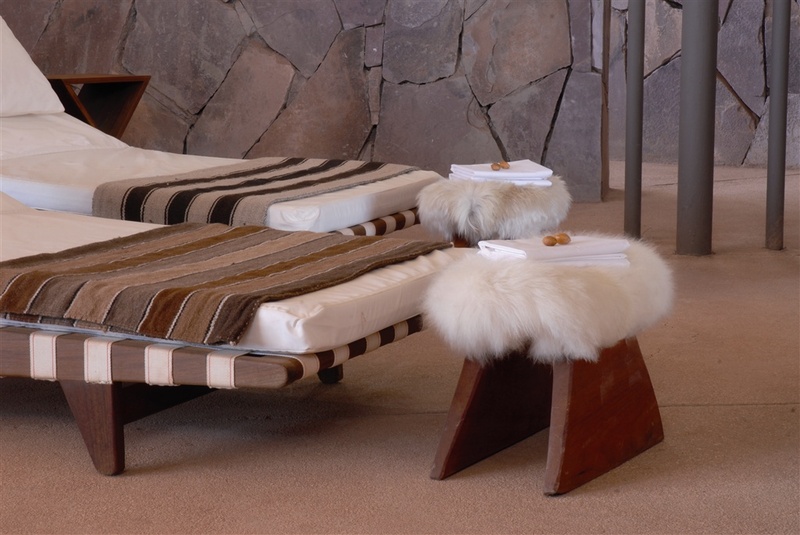 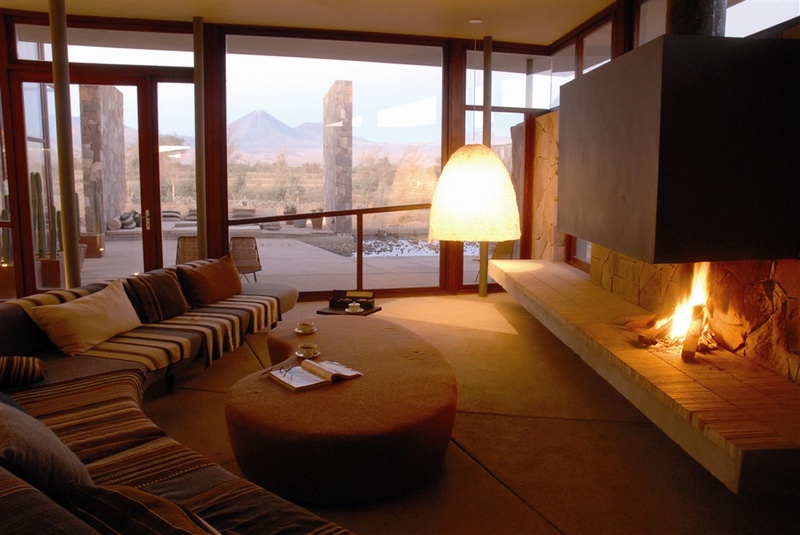 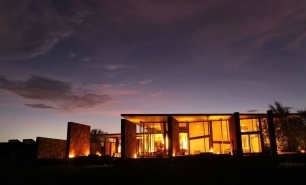 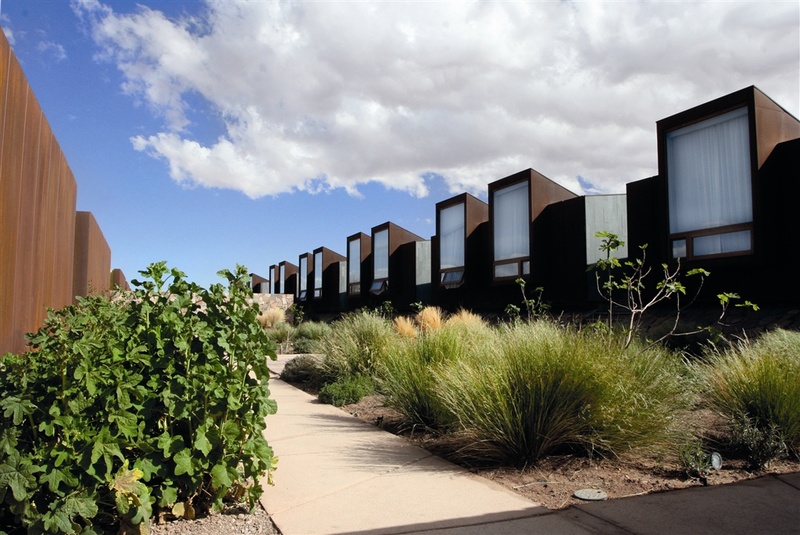 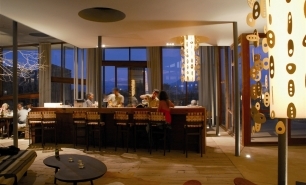 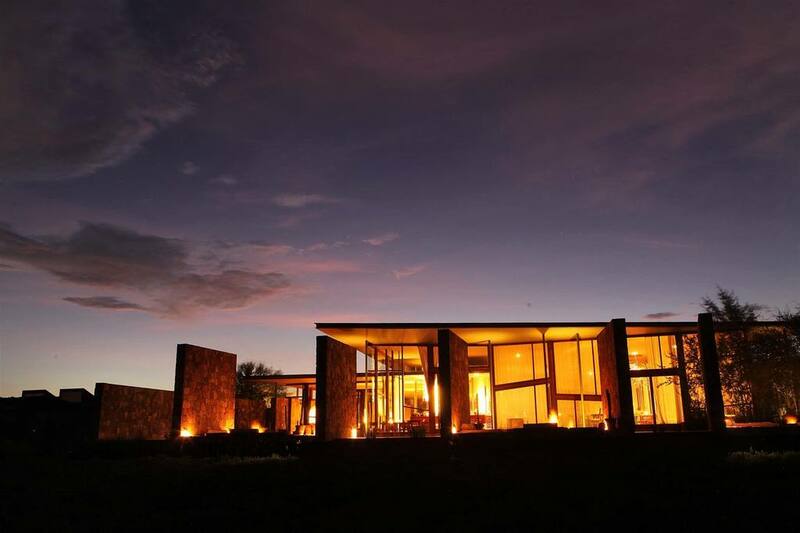 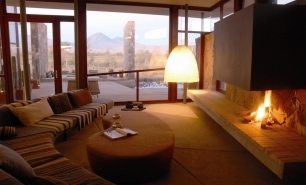 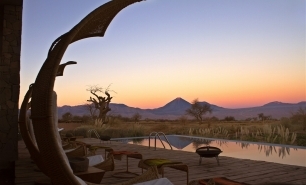 Tierra Atacama has a living room, library, bar, an outdoor heated swimming pool, and an expansive terrace. 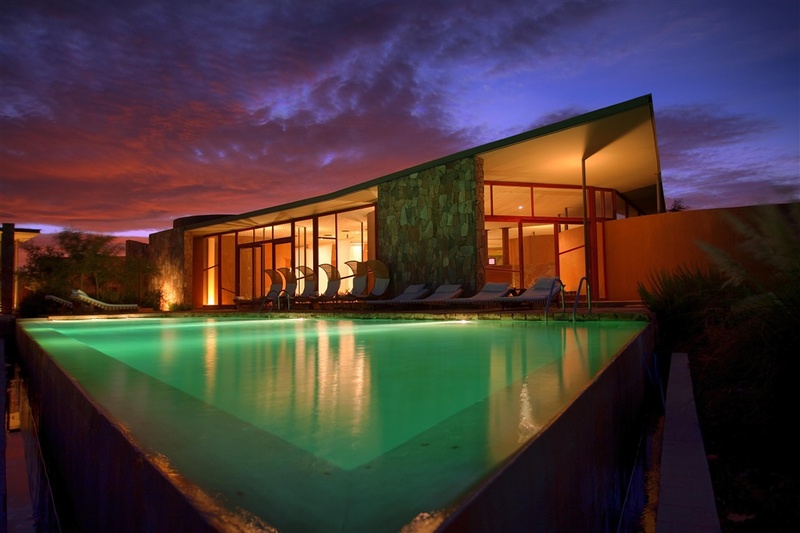 This is an all year destination. 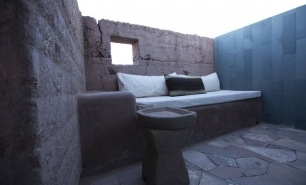 The climate is extremely dry and mild, with daytime temperatures between 25-30°C in the summer (December to February) and 18-25°C in the winter (June to August). 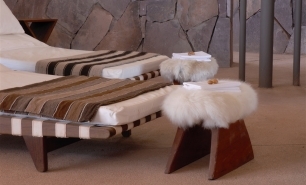 Nighttime temperatures drop below zero and can reach as low as -10°C in the winter.